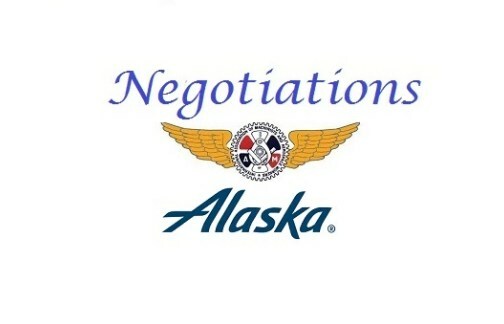 The joint Alaska Airlines Negotiating Committee continued negotiations with Alaska Airlines management January 15 – 17, 2019 in New York, New York. Represented by the Company were: Shane Tackett, Executive Vice President/Strategic Planning; Wayne Newton, Vice President/AOCS; Jeff Butler, Vice President/Call Centers; Jason Berry, Managing Director/Cargo; Denise Kliskey, COPS Labor Manager; Rebecca Meissner, Senior Attorney; and Melinda Maher, Division Controller. The Company provided your Committee with another ‘Comprehensive Proposal for Settlement’ during the week. Though there were some improvements in various articles from the first pass provided in October of 2018, the Company’s proposal fell short in meeting the needs of the membership. While the comprehensive proposal did not go far enough, we were still able to have great discussion pertaining to one of our top issues – protecting our work. The week was spent clarifying positions in order to get a better understanding of the Company’s needs as it relates to job and work protection. And, likewise, your Committee spent our time relaying and explaining why protecting our work – our day to day functions – is of the utmost importance to the membership. It is the day to day functions that provide us our careers. No work = no careers. The next negotiations session is scheduled for February 5 – 6, 2019, in Seattle, Washington.